I needed a place to test my theory of a lavender farm in upstate New York. I was without a farm, without a house, without land. A friend I worked with had 5 acres that wasn't being used. I bought 200 lavender plants of 4 varieties, rated for our growing region. 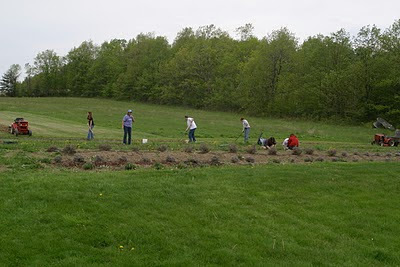 We used a small tiller and tilled up rows for the lavender and had a planting party - inviting friends to help. It all went pretty quickly and our test plot was planted. That year we lost 100 of the 200 we planted. That was not promising. We looked to see why some survived and some didn't. It was not variety specific. Some of the same variety survived, some did not. We looked to what we did that might have contributed to the losses. We planted in raised beds taking advice from others where wet springs could be a problem causing plant loss. With our cold winters that was a mistake because they needed the insulation of being deeper in the ground. Raised beds, though helping in keeping the lavender feet drier and warm up quicker in the spring, didn't help the plants to survive the winter. We also may have had planting errors. We found some of our plants were planted like trees with the main roots just under the ground, the center of the plant standing above the soil like trees. We found the deeper we planted the lavender the better for our region. Weeds, argghh! The scourge of farmers and gardeners. We didn't think ahead on that, thinking we could just plant and weed them through the summer. We spent, what felt like the entire summer, fighting to keep up with the weeds. 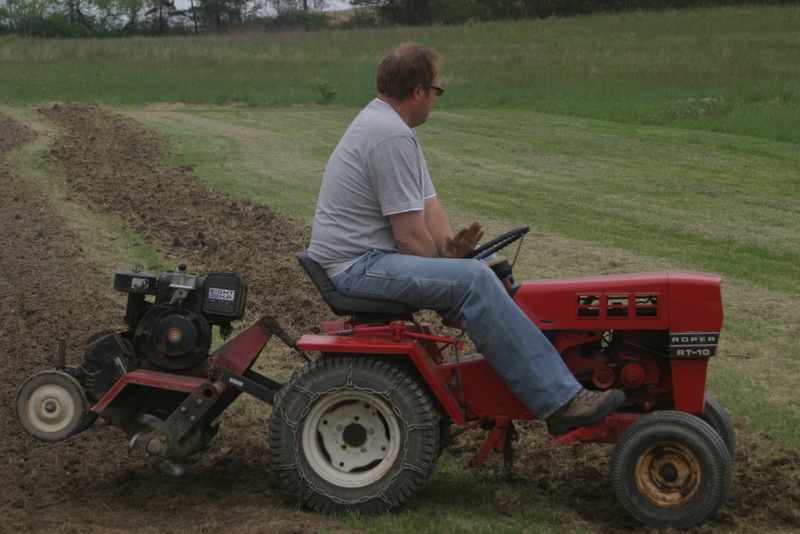 With these observations, we looked to our next planting the following Spring. Hi you mentioned initially you used 5 acres that belonged to a friend. Did anyone actually live on the property while you were farming it or was it just unused land. Did you feel the need to protect the crops from potential vandalism etc if no one on the property full-time?